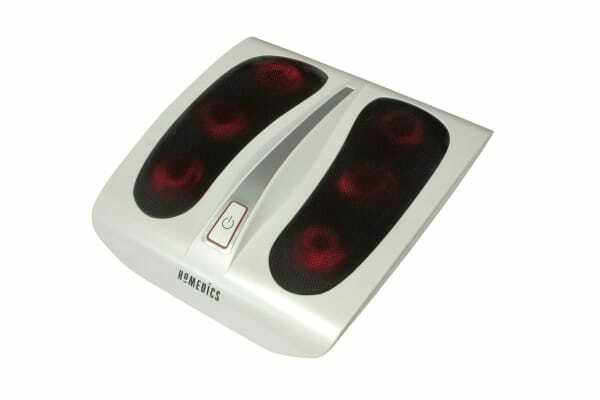 Treat your feet to a relaxing heated foot massage as often as you’d like with the Deluxe Shiatsu Foot Massager from HoMedics. The six deep-kneading Shiatsu heads reach deep to massage and erase the day’s exertions. Toe-touch control makes it easy to turn on and off and also activate the soothing heat option. Adjustable legs allow you to find the most comfortable massage angle for your HoMedics Deluxe Shiatsu Foot Massager and integrated cord management keeps it neat and easy to store.